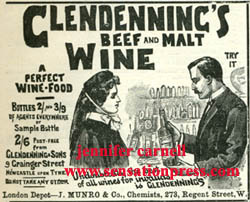 Glendenning's Beef and Malt Wine, sold here to a woman customer by a chemist in his shop. 'Undoubtedly the best of all wines for invalids is Glendenning's'. 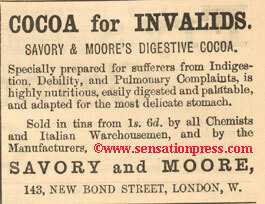 J. Munro & Co., Chemists. 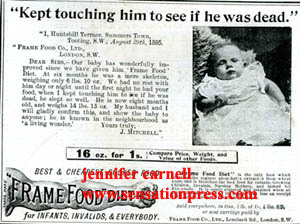 For Infants, Invalids, and Everybody. With a letter from a grateful parent, claiming Frame Food saved their underweight baby.